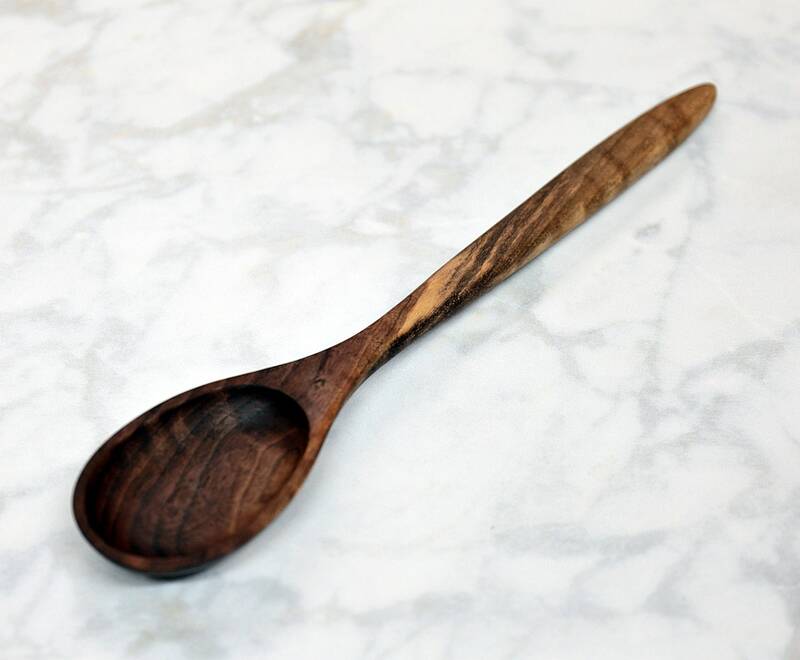 You will receive the walnut spoon in the photos. 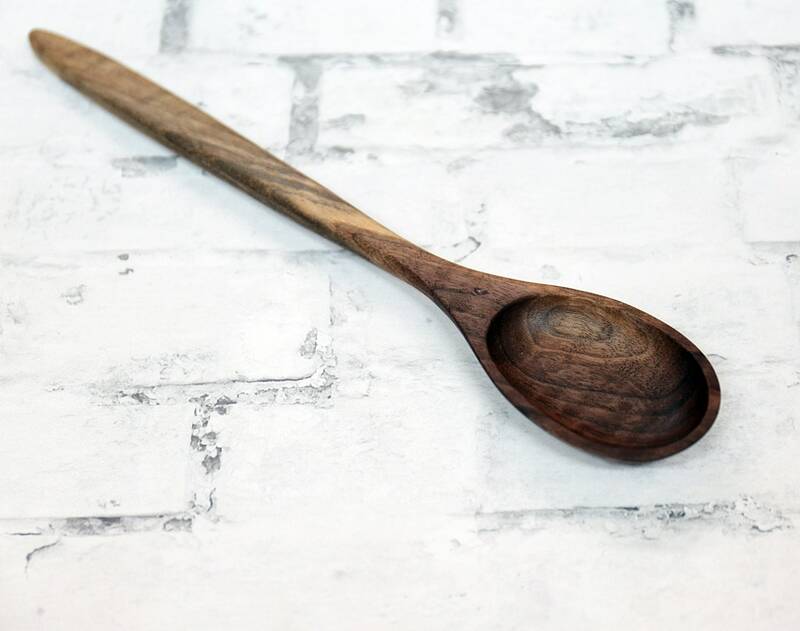 This purchase is for (1) wooden walnut spoon. This one features contrasting colors in the wood and was designed with a nice taper in the handle. It was also crafted to feel comfortable while being used. 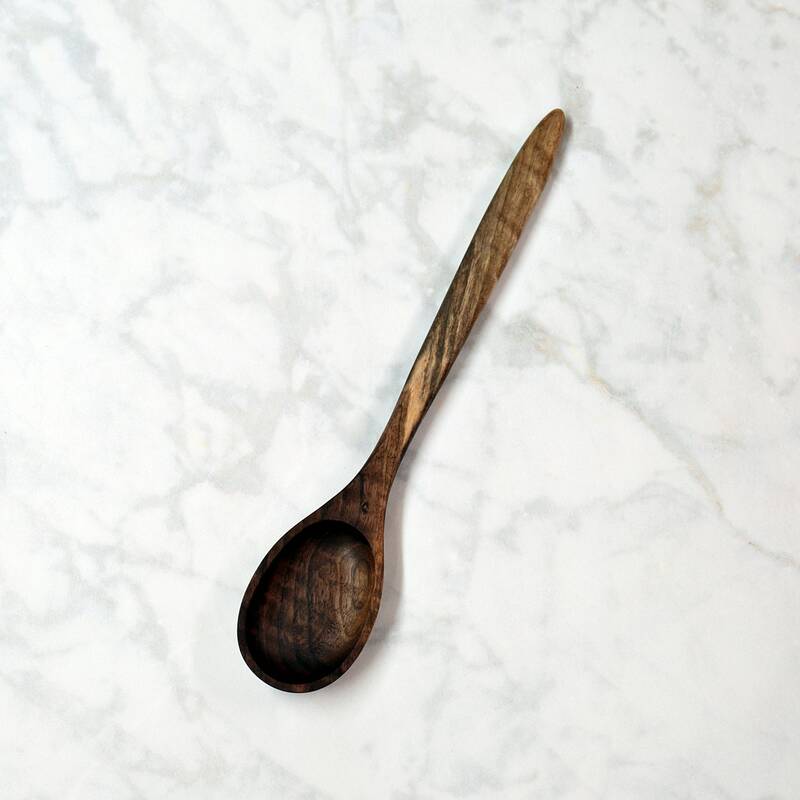 During the sanding and finishing process the spoons are soaked in water twice to "raise" the grain, and then finished beeswax and mineral oil. Size: Overall length and width is 12 x 2 1/4 inches. Handle width 5/8" plus. Bowl dimensions: 1 7/8" wide by 2 7/8 length. Depth of bowl is slightly under 3/8"
Care instructions will be included with the shipment.